Whether it’s a vacation day, work day, or weekend, I have a daily routine. My morning rituals consist of enjoying my coffee, while reading the newspaper and watching TV. My evening routine consists of enjoying my decaf green tea, while reading my mail and watching TV. Yes, TV is an important part of my daily routine and I am not alone. According to the National Cable & Telecommunications Association, 144 million U.S. households subscribed to cable TV as of December 2015. More impressive is that cable TV viewership has soared, increasing by 38% over the last twenty years. Of course, with so much competition in the telecommunications space, it’s no surprise that direct mail is a key channel for multiple system operators (MSOs) to draw in new cable subscribers or convince consumers to switch from their current provider. There are also some important developments in terms of mail volumes and package offerings that are shaping MSO’s direct marketing efforts. 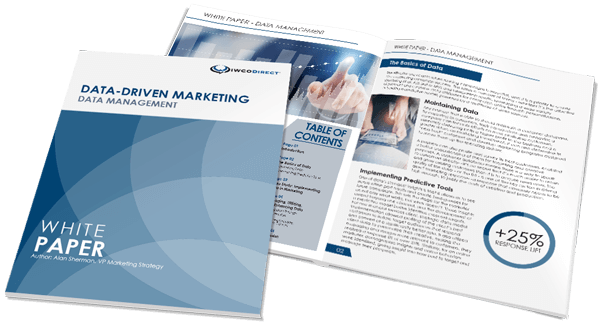 To look at the current state of direct mail marketing within the telecom/MSO vertical for this post, we relied on statistics from market research firm, Comperemedia. Telecom/MSO vertical mail volume for Q1 2016 was 947,501,865 mailpieces. This is an increase of 6.78% compared to Q1 2015 and an increase of 6.86% compared to Q4 2015. For Q2 2016, the telecom/MSO vertical mail volume decreased slightly to 941,831,802 mailpieces due to increased multichannel efforts. In their “Q1 2016 Telecom Acquisition Report”, Comperemedia highlighted bundled acquisition direct mail volume, which increased an impressive 27% compared to Q4 2015. Companies are bundling cable, internet, wireline, home security and over-the-top (OTT) video streaming services. Also highlighted in the report were recent examples of top direct marketing campaign offers and incentives. For example, for potential customers who take advantage of a new bundled services subscription, top incentives included receiving a prepaid gift card ranging from $100-$500 or a credit for up to $400 rebate highlighted by an attention getting faux check in the mailpiece. For new potential customers currently under contract with another provider for these services, offers were made to buy out of contracts with two existing providers for up to $500. For Q2 2016, bundled acquisition direct mail volume increased by almost 23% compared to Q1 2016. A rise in OTT Services as many MSOs are launching their own competitive video streaming services. The key to success is to understand how to market streaming services while complementing existing business. Many MSOs are testing offering a prepaid rewards card for upgrading services to include video streaming. Consider affixing a card highlighting your rewards incentive, promotion expiration date and phone number as a call to action. Personalize the card specifically to the intended subscriber so they feel as if they are getting a special offer to increase gross response rate (GRR) and return on investment (ROI). Moving from Triple Play to Quad Play as MSOs are exploring new bundle options. The key to success is to quickly determine the right products to market, at the right discounts, to the right customers. It’s essential to engage in cross-channel marketing. This can be done in a variety of ways, but it’s important to identify how your potential customers want to receive or request information. Some may want a phone conversation, while others will prefer online interaction. Regardless of channel, multiple touch-points are always a good strategy. Shifting Focus to B2B as that market has grown at a faster rate than B2C over the last five years. The key to success is to focus on the objectives for B2B companies – which are very different than B2C company objectives – and create a smart growth strategy. Consider using an eye-catching check format such as a “savings voucher” in the dollar amount of savings by taking the bundle offer. A phone number and website make it quick and easy for potential business customers to get in touch or learn more about the offer. It’s definitely a changing and challenging landscape for MSOs, with more competition than ever before. But there are still many opportunities to add new customers and build deeper connections with existing subscribers. A sound direct marketing approach that combines data, strategy and analytics will be the key to sustained success. If you’d like to learn more about how we can help, please let me know.